Succulent plants have unique ways of dealing with water and are well adapted to extensive green roof designs. Succulents can reduce the transfer of moisture from their leaves to the atmosphere and they can store much moisture in their cells. Those succulents in the Sedum family in particular have proven to be suited to the shallow planting media used in extensive green roofs. So what is it about Sedums, beyond their water handling characteristics, that recommends them for extensive green roofs? For one thing, their survivability. In a three year study by the University of Michigan a wide range of Sedums all survived while 13 plants native to Michigan did not, and another five species native to the state had high mortality rates. The study concluded that biting stonecrop (S. acre), white stonecrop (S. album), orange stonecrop (S. kamtschaticum), small orange stonecrop (S. ellacombianum), bird’s claw sedum (S. pulchellum), crooked stonecrop (S. reflexum), creeping sedum hybrid (S. spurium ‘Coccineum’), stonecrop (S. middendorffianum ‘Diffusum’) and creeping sedum hybrid (S. spurium ‘Royal Pink’) were suited to unirrigated roofs in Michigan’s climate. The Sedum family by some accounts includes more than 400 species and the U.S. Department of Agriculture, Agricultural Research Service, National Genetic Resources Program lists 133 species in its database. According to another source at the University of Michigan the largest number of Sedums are especially suited to the Northeast, Midatlantic, Midwest and Southeastern U.S. 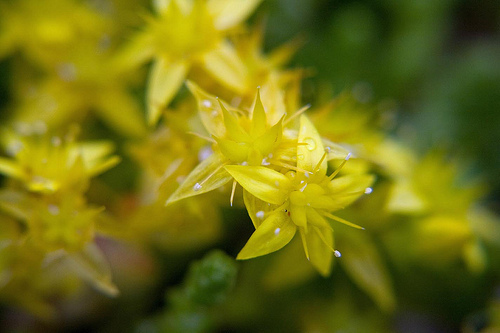 Species that do well in other parts of the world that have similar climates to the Southern U.S. include biting stonecrop (S. acre), S. mexicanum, S. nussbaumerianum, stringy stonecap (S. sarmentosum), and tasteless stonecrop (S. sexangulare). In the Los Angeles area stonecrop (S. sieboldii) and broadleaf Stonecrop (S. spathulifolium) are recommended by California’s outreach program aimed at increasing building energy efficiency. Bay Localize, an Oakland based organization that catalyzes a shift from a globalized, fossil-fuel based economy to a localized green economy that strengthens all Bay Area communities, used S. album, S. spathuifolium, S. spurium and S. sexangulare in its extensive roof prototype in that area. The organization also reports that S. ternatum and S. telephium have shade tolerance. Sedums claim some of the hardiest succulent plants and they have a wide range of textures, habits and flowers. Their leaves are fleshy and they come in many sizes with a variety of shapes and textures. Sedums put on a show with their star-shaped flower clusters in many bright colors. They do not take foot traffic at all but otherwise they are tough and have low maintenance requirements. Sedums spread easily and many times leaves that fall off will take root and grow into a new plant. They will take full sun or considerable shade and have light water needs in the summer. 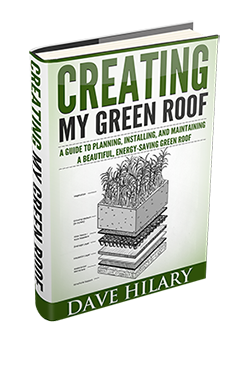 If you will install an extensive green roof in the Southwest or mountain West pay close attention to the Sedums you select since there is not as much research available on the varieties that work well for green roofs in those climates. Questions? Comments? Feel free to shoot me a comment – I will try to respond to all of them. ← Intensive vs Extensive Green Roofs: What’s the difference?